PSME presents four educational programs per calendar year, which are typically held in conjunction with a General Membership Meeting. 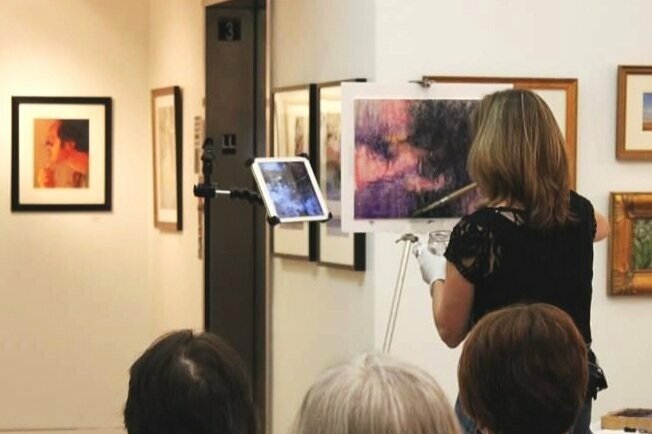 Programs include but are not limited to: pastel demonstrations, pertinent topic lectures or demonstrations, gallery tours, and paint-outs. For more information complete the inquiry form on the CONTACT PSME page. "Social Media for Artists" informational materials distributes at the PSME February 2017 Educational Program. For a copy click here. "Things You Should Know Before You Visit A Framer" informational material distributed at PPOM May 2015 General Membership Meeting. For a copy, click here. Any questions, please CONTACT PSME here.